Madrid's oldest square, home to the city's main market place in Muslim and early medieval times, contains three noteworthy buildings. 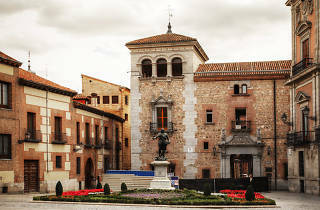 Dominant is the Casa de la Villa, or City Hall, designed in Castilian-baroque style by Juan Gómez de Mora in 1630, although not completed until 1695. 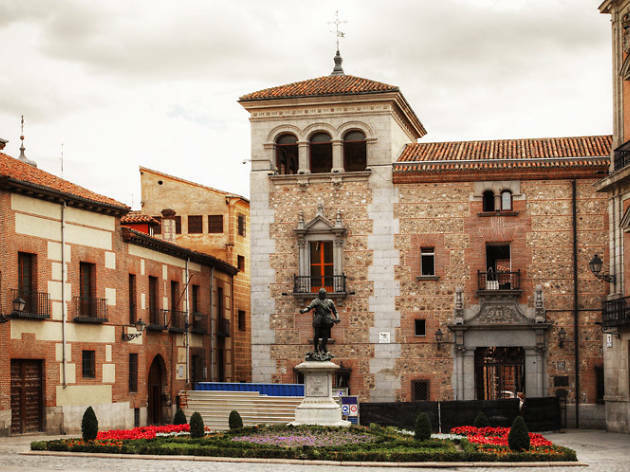 The façade was also altered by Juan de Villanueva in the 1780s. It contrasts nicely with the Casa de Cisneros, which was built as a palace by a relative of the great Cardinal Cisneros in 1537. Restored in 1910, it now also houses municipal offices. Opposite the Casa de la Villa is the simple Torre de los Lujanes, from the 1460s, where one of Madrid's aristocratic families once resided. It is believed that King Francis I of France was kept prisoner in the tower by Charles V after his capture at the Battle of Pavia in 1525.